We are all aware, and we have stated many times, the 3Rs, Reduce Reuse Recycle facts, that have led into the initiatives undertaken by all countries in an effort to reduce the impact on the environment, reduce CO2 emissions and reduce energy consumption. Indeed the whole 3Rs effort has unlimited capabilities and applications and as one said: the Reduce Reuse Recycle initiative is only limited by our imagination. There are many ideas put forward around the use of recycled plastic and a good number of them have moved forward to pilot implementation and then to commercialization. Currently the city of Vancouver is trialling another innovative idea, recycled plastic asphalt. The city will pave roads in metropolitan Vancouver with a new asphalt mix. Vancouver’s local authorities have collected all the plastic, like plastic water bottles, milk bottles and even yogurt plastic pots, which was going to be recycled and after they grounded it up, they have melted it down to a sticky wax-like form ready to be mixed with asphalt. The warm plastic mix when mixed with asphalt binds the asphalt together since it acts like glue. The plastic in the asphalt is just 1% of the mixture and has been proven to last as the traditional asphalt mix. Using recycled plastic in the asphalt has another significant contribution towards a cleaner environment. The asphalt plant uses 20% less fuel because of the plastic used and this of course is translated to reduced harmful emissions. The idea of recycled plastic asphalt was also used in India by a progressive company in Bangalore. The company, K.K. Plastic Waste Management, has used this mixture to pave so far 745 miles of roads in Bangalore, India. 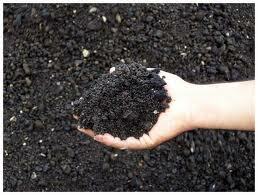 The mixture is called polymerized bitumen and it was found to be more durable than the traditional asphalt mixture. In fact reports show that while traditional asphalt can last for 3-4 years this new recycled plastic asphalt lasts 1-2 years more while it only costs about 3% more than traditional asphalt. The company has patented the plasticized asphalt in India but this did not stop other companies from copying the idea since it is considered to be a successful one. It should be noted that the difference between the recycled plastic asphalt used in Vancouver and that of polymerized bitumen used in India is the percentage of plastic used in the mixture. In Vancouver the local authorities use 1% of plastic while in India the K.K. Plastic Waste management company uses 8% of plastic in the asphalt. This technological innovation has been introduced in India since 2004 and has been type approved by the local authorities. Using plastic in the asphalt solves many problems in India. First of all it takes away plastic from the streets since wasted plastic now has value and is now bought by the plastic waste management company at a premium price. Secondly is enables the creation of a more durable product capable to withstand more the harsh weather conditions in certain monsoon regions of India. The plastic asphalt seems to be a green way to travel in India since there is high adoption rate of this eco-friendly mixture. Is Recycled Plastic Asphalt a Reduce Reuse Recycle example? The 3Rs, Reduce Reuse Recycle, initiative aims to reduce waste in our communities, present methods for reusing certain products and enable the appropriate recycling of products and materials that cannot be reused. Reduce: it does not reduce the plastic but reduces the wasted plastic in the streets and communities of India or any other place in the world like Vancouver. Reuse: it does not enable the reuse of plastic bottles of pots in our homes but reuses them in another industry. Recycle: it recycles plastic so that it is used with another product, asphalt, so as to make a more durable product which is used in our streets and communities. 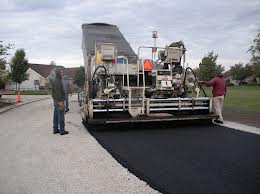 It is worth mentioning that the recycled plastic asphalt has been patented in 1974 as a US patent US5702199 under the name plastic asphalt paving material and the owners of the patent, have clearly defined the process for achieving this. The patent mentions the use of recyclable plastic. Certainly the recycled plastic in asphalt is another 3Rs initiative and we will make an effort to present many more such initiatives and innovations so that we will contribute in our own way to this great initiative and make our world greener and cleaner while at the same time we will save energy and resources.